The simple tool that helps you lose weight and live healthy! 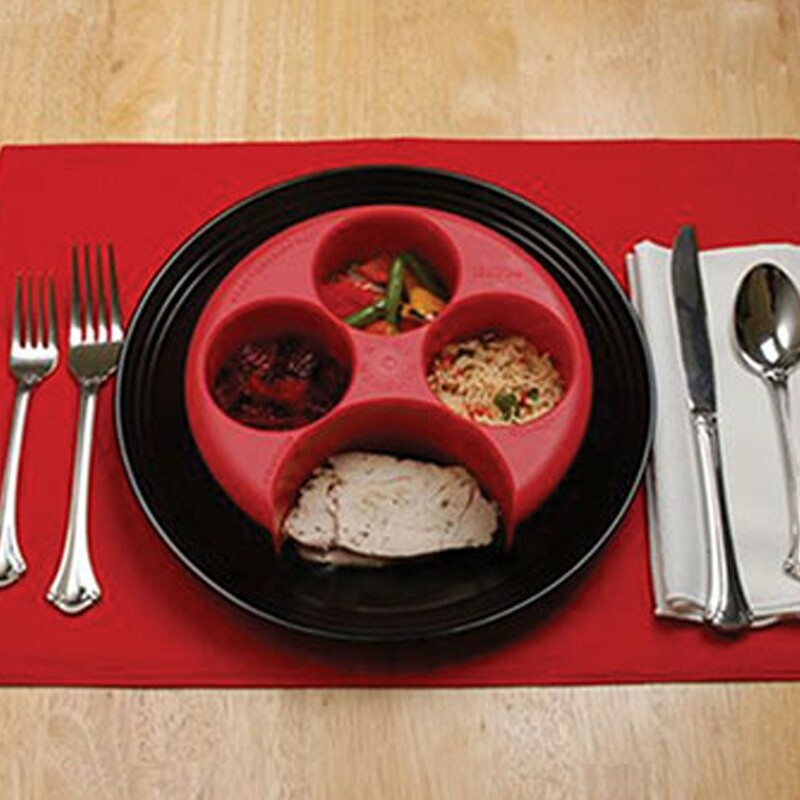 Purchase the Meal Measure on Amazon today! Meal Measure is a simple tool that can help you lose weight and live healthy! Portion control is one of the best ways to fight obesity and the Meal Measure is the best way to control portions. There are 4 portion control areas: 2 for fruits or veggies, 1 for starches and 1 for protein. A line in the middle of each portion represents a half cup. The top of each portion equals one cup. Simply fill the Meal Measure directly on your plate according to your diet. Place your protein in the half moon; about the size of a deck of cards. 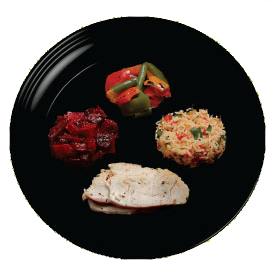 Remove the Meal Measure off your plate to reveal perfect portions! 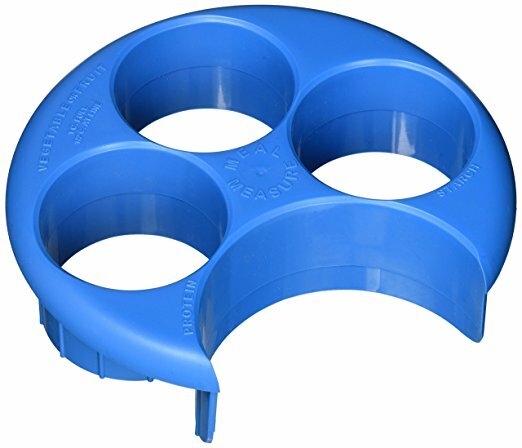 Purchase Meal Measure on Amazon today! Just had to let you know how much I love Meal Measure! I have battled my weight since I was 5 years old, and I almost lost my life at 26 due to complications of weighing over 600 pounds. Thankfully I lost 420 pounds and am now on a mission to help others find their freedom. One of the biggest issues I find people struggling with is portion size. It’s so out of proportion that people simply don’t know what an accurate serving is. I’ve tried using the plates with the portion size drawings but they usually end up piling it up as high as possible. However Meal Measure not only measures size but volume as well! Thank you for this wonderful tool to help us out!!! The Meal Measure is the perfect tool for a person watching their weight. 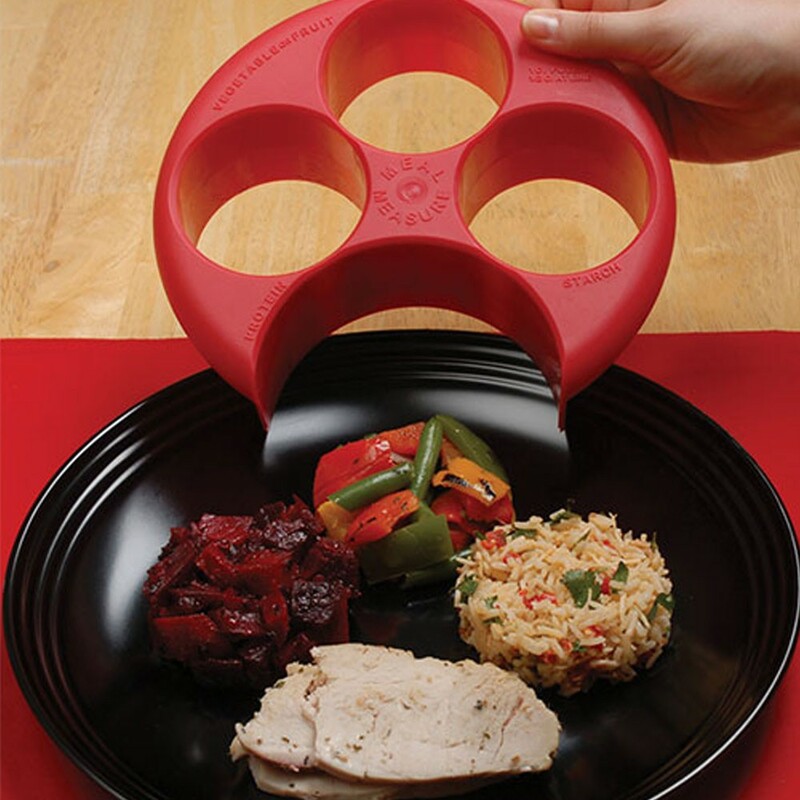 It takes the hassle out of measuring every helping — it delivers properly-proportioned meals, every time! 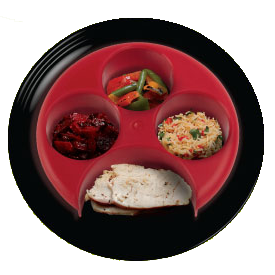 The Meal Measure is a must for anyone trying to control their portions; for weight loss or carbohydrate counting. It’s a convenient and easy tool to use with no guess work involved. I tried Meal Measure yesterday evening and was delighted. 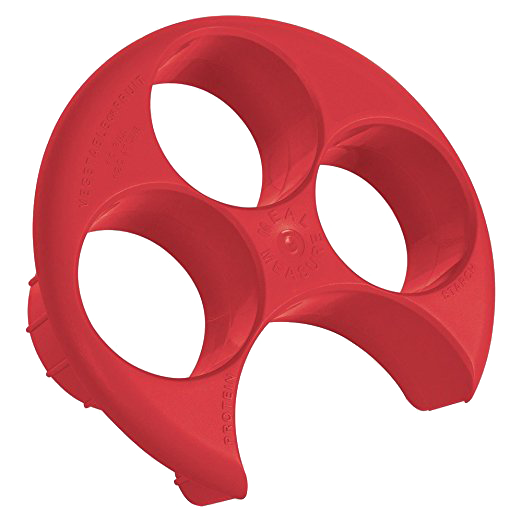 It certainly makes measuring a lot easier than using individual measuring cups and/or scales. 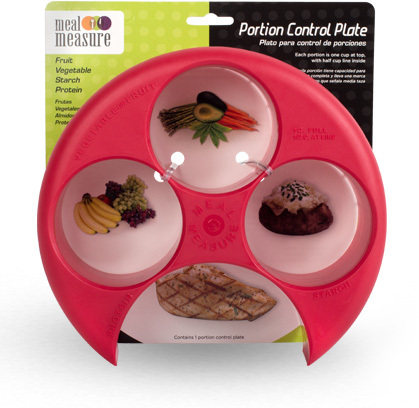 Meal Measure was created by Patty Cocchiarella, a working mom and former lunch room attendant who is passionate about using portion control for a healthier diet. Patty is a wife, mother of 3 children, an inventor and entrepreneur. She invented Meal Measure to help people who need to control their portions whether for Diabetes or weight loss. There are numerous hospitals, clinics and stores around the country selling this new product. It has been featured on the Today Show and is a 3x Editor’s Pick on RealAge.com. Founded in 1975, Apothecary Products is a global leader in consumer wellness products. Our retail products help consumers improve their health and wellness. We also support pharmacists and the patients they serve with our innovative pharmacy products. Learn more about Apothecary Products. Meal Measure was featured on phentermine.com as a gadget to help control portion sizes. 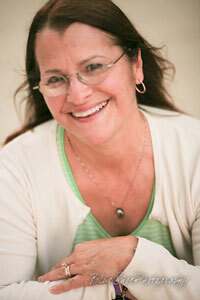 Exclusive interview with the inventor of Meal Measure, Patty Cocchiarella. 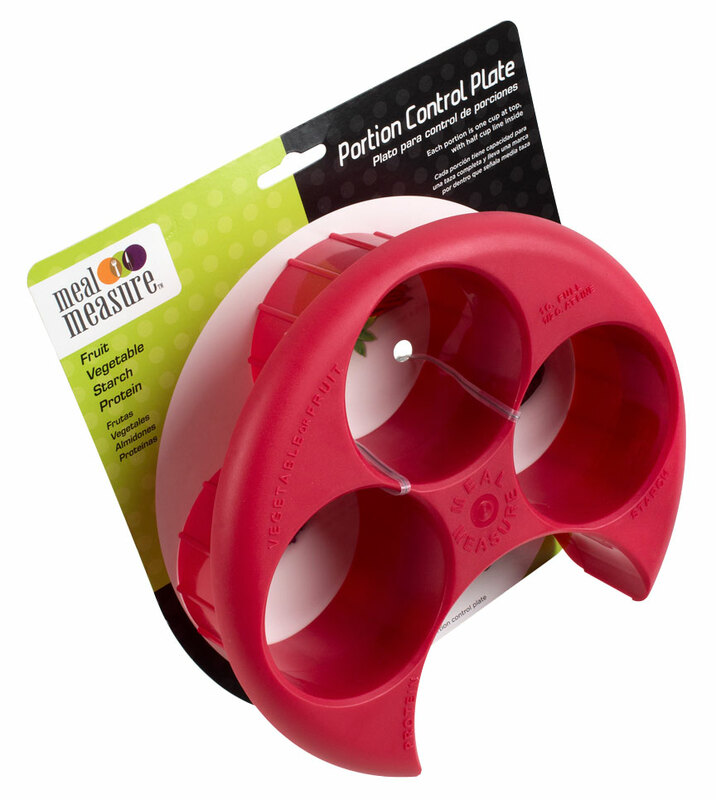 Twelve innovative and effective portion control tools are profiled, including Meal Measure. Meal Measure is profiled as a simple and easy method for controlling calories. Diabetic Living magazine features monthly articles on managing diabetes. Meal Measure was featured in the Spring 2010 issue. A wealth of tips for healthy living, product reviews, and article pertaining to general wellness. Sharecare has listed the Meal Measure as a 3x editor’s pick.